Keeping the egg humid and warm will increase its chances of hatching, but if it hasn't hatched within a week after it's supposed to, look at it carefully with a flashlight to see if the bird inside has grown and if any reddish veins are showing through. If not, the bird has probably died. An incubator helps hatch a bird egg by keeping it evenly heated at an appropriate temperature, as well as slightly humid. 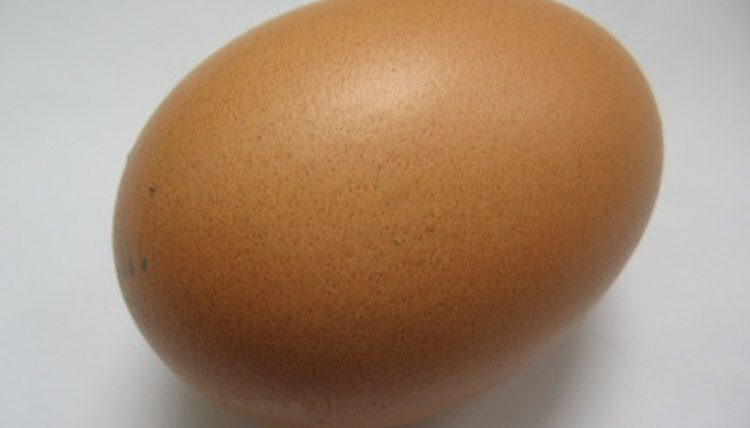 Without uniform heat, a bird has little likelihood of surviving inside an egg. You can approximate the effects of an incubator, but even with close supervision, only about half of birds hatched without a proper incubator survive. Put several inches of water in the ceramic bowl and microwave it at medium heat for several minutes. Remove the bowl and empty the water. The bowl is now at a good starting temperature for the egg. Do not microwave the egg as this will kill the bird. Dampen a hand towel thoroughly with warm water. Wrap the egg in the towel, being careful to move slowly and not shake the egg. Place the damp towel with the egg in the ceramic bowl. Place the bowl six to twelve inches below the heat lamp, depending on the size and strength of the lamp. Turn on the heat lamp. This will heat only one side of the egg at a time, but having given it a head start with the warm bowl and towel will help. Also, the lamp should keep the ceramic bowl heated and the heat evenly distributed. Flip the egg every six to eight hours by gently and slowly rotating it to expose the other side to the heat lamp. This is also a good time to sprinkle more water on the hand towel to keep the egg humid.